Montreal, QC — 03/25/2019 - Nakisa, an SAP partner, today announced that it will participate at SAPPHIRE NOW® and ASUG Annual Conference being held May 7-9 in Orlando, Florida in booth 1708. The company will showcase its enterprise software solutions: Nakisa Lease Administration and Nakisa Hanelly. Nakisa will be meeting with customers and partners, as well as industry analysts and thought leaders, to discuss major trends impacting the SAP community. Nakisa will demonstrate how Nakisa Lease Administration supports compliance with IFRS 16 and ASC 842 by automating, centralizing and simplifying lease accounting operations. Nakisa’s team of product and solution experts will be onsite conducting one-on-one meetings aimed at answering technical accounting and compliance questions. Booth visitors will have access to demo stations to learn about Nakisa’s solutions. Walmart’s Shawn Husband, Senior Director of the Lease Center of Expertise, will host a speaking session at SAPPHIRE NOW®. The session will cover Walmart’s experience adopting the new lease accounting standards for its global operations while managing the unique requirements for each region. The session will take place on Tuesday, March 20 at 3:30 PM. The goal of the session is to provide accountants and other financial leaders with valuable insight and practical advice for implementing the changes to lease accounting. 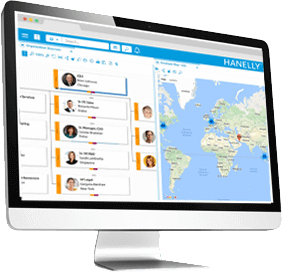 Nakisa will showcase its organizational design solution, Nakisa Hanelly. Through short presentations and demonstrations, attendees will see how Nakisa Hanelly empowers organizations to create sustainable competitive advantages during times of significant business change: Mergers and acquisitions, diversity and inclusion initiatives, employee reduction in force, and workforce realignment. Demo stations will be available at the booth for visitors wanting to learn more about Nakisa Hanelly. To book a meeting or to learn more about Nakisa’s participation in the event, visit nakisa.com. 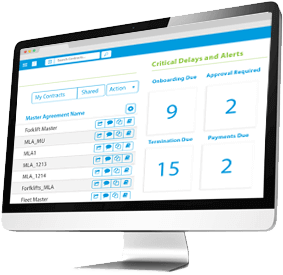 Working with a global network of partners, Nakisa serves 800+ enterprise customers and over 4 million subscribers in 24 industries. Nakisa is proud to work with some of the world’s most renowned brands.